Welcome to the Bay City Area, a safe harbor on Lake Huron’s Saginaw Bay, Michigan. We take pride in our community and we are happy to open our doors to you! The Bay Area has a rich tradition of creating an inviting atmosphere for residents, businesses, and visitors. Our neighborhoods are full of friendly people who work together to keep the community vital. Our business people work diligently with local government to develop a strong economic climate. And, with a strong business and education partnership, the quality of education in Bay County for elementary, high school and college students is outstanding. Centrally located, the Bay Area has a balanced network of ground, air and water transportation. Our industrial base varies from small to large manufacturers, such as S.C. Johnson & Sons, General Motors Powertrain, Mersen USA bn Corp. and many other major corporations. 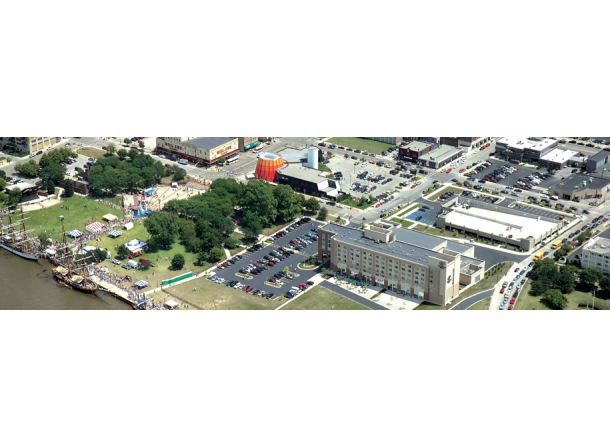 Our unique downtown and uptown, located along Bay City’s riverfront, offer a collection of specialty shops, galleries, and restaurants. Many popular chain stores are also just a short drive away. Recreational opportunities abound with walking and biking trails that line the Saginaw River. Plus, the Bay Area flourishes with exciting cultural and tourist attractions. We are sure you will see why we so proudly call the Bay Area home. We invite you to experience all that makes our community fantastic! The Bay Area Chamber is the premier business organization promoting community development through collaboration and leadership. The primary role of the Bay Area Chamber of Commerce is to improve the economic climate, business environment and quality of living throughout the Bay Area. What the Bay Area Chamber Can Do for You! The Bay Area Chamber of Commerce is a private, non-profit business organization with nearly 800 member firms. The Chamber, founded in 1882, provides programs to assist local businesses to grow and prosper. Chamber policy and program development are guided by a 25-member volunteer Board of Directors and implemented by a professional staff. Numerous volunteer committees and task force opportunities exist for interested Chamber members.